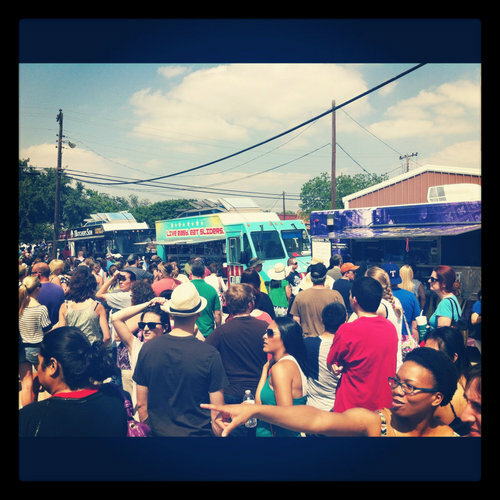 Meals on Wheels: Downtown Frisco StrEATS this Saturday! Of course, as with any good festival, that’s not all. A beer garden will serve up frosty brews, and two music stages will feature live performances by School of Rock and local artists. In keeping with the truck theme, a game truck will also be on site, loaded with video and arcade games, plus the Dallas Cowboys Mega Merchandise truck. Little ones will also love the face painter, balloon artist, and activities by My Gym. Admission to the event is free, but be sure to have cash for the trucks and vendors, and bring a non-perishable food item to the Frisco Family Services booth for a chance to win exciting prizes!